How frequently do young children use computers and other digital devices these days? The answer may astound you. And it could result in a problem called computer vision syndrome. According to the National Center for Education Statistics, 94 percent of American children ages 3 to 18 currently have access to a computer at home. 98 percent of U.S. households with kids under the age of 8 have some type of mobile device (smartphones, tablet computers, etc.) — the same percentage as the amount of homes that have a television. Kids under age 8 now spend an average of more than two hours a day viewing digital displays. Among older children, screen time jumps to six hours per day for ages 8 to 10 and nine hours per day for kids 11 to 14 years old. Because this rapid increase in the use of computers and other digital devices by children has occurred within just the past decade or two, there’s no conclusive data regarding the potential harmful effects of too much screen time on kids' eyes — both in the short-term and later in life. But some eye doctors are concerned. A primary concern that many eye care professionals have is that significant hours of computer use by kids may put them at greater risk for developing myopia (nearsightedness). Research appears to confirm that opinion. A large study conducted by the National Eye Institute found that the prevalence of nearsightedness among Americans has increased from 25 percent to 41.6 percent of the population over the past 30 years — an increase of more than 66 percent. The time frame of this significant increase in myopia parallels the ramp-up of hours of computer use worldwide. And the greatest risk for nearsightedness and myopia progression takes place in childhood. But another concern is that more eye doctors are seeing children in their offices who are experiencing symptoms of computer vision syndrome (CVS) — a condition characterized by a combination of eye strain, headaches and fatigue-related discomfort and posture problems. High-energy blue light emitted by the screens of computers and other digital devices appears to contribute to CVS symptoms. Also, research suggests blue light has the potential to cause oxidative stress on the retina of the eye over time. Some researchers believe this stress on the retina might increase one's risk for age-related macular degeneration later in life. More research is needed to determine the long-term effects of blue light from computer use on the eye. But many eye doctors are urging caution, because when today's children become tomorrow's seniors, they will have been exposed to far more blue light from digital devices than previous generations have been. Symptoms of computer vision syndrome — headaches, eye strain, posture problems, etc. 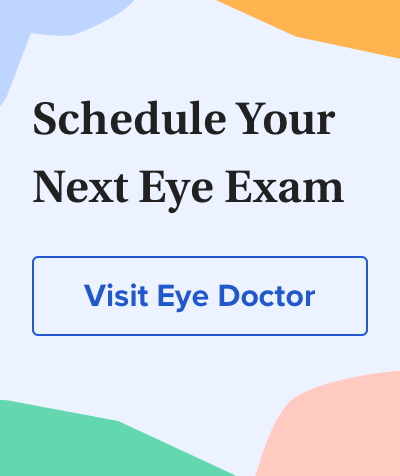 — are good reasons to schedule an eye exam for your child. Addressing these issues early not only will relieve unnecessary discomfort, it may also reduce the risk of vision problems or eye health concerns later on. Take frequent "eye breaks." A very helpful technique when using a computer or other digital devices is called the "20-20-20 rule" — every 20 minutes, stop looking at your screen for at least 20 seconds to look at something at least 20 feet away. This relaxes your eye muscles to prevent fatigue that leads to eye strain and headaches. Stretch. The short breaks associated with the 20-20-20 rule are a great time for your child to get up from her desk (or put down her device) to stand up and stretch. Performing a yoga pose or two also is a good idea. (OK, she shouldn't do these things in the middle of a class at school, but you get the idea!) The purpose here is to relieve muscle tension that causes eye, head, neck and overall body discomfort. Stretching also helps increase blood flow to increase alertness. Go outdoors. Again, not during class time, but spending more time outdoors will get your child moving and relieve tension associated with computer vision syndrome. There also is research that shows spending more time outdoors may decrease the risk of becoming nearsighted! And if your child already wears glasses, ask your eye care professional about photochromic lenses and anti-reflective coating. These eyewear products can increase visual comfort and decrease your child's exposure to blue light both indoors and outside. Student access to digital learning resources outside of the classroom. National Center for Education Statistics. April 2018. The Common Sense census: media use by kids age zero to eight. Common Sense Media. October 2017. Myopia in young adults is inversely related to an objective marker of ocular sun exposure: the Western Australian Raine Cohort Study. American Journal of Ophthalmology. November 2014. Outdoor activity during class recess reduces myopia onset and progression in school children. Ophthalmology. May 2013.